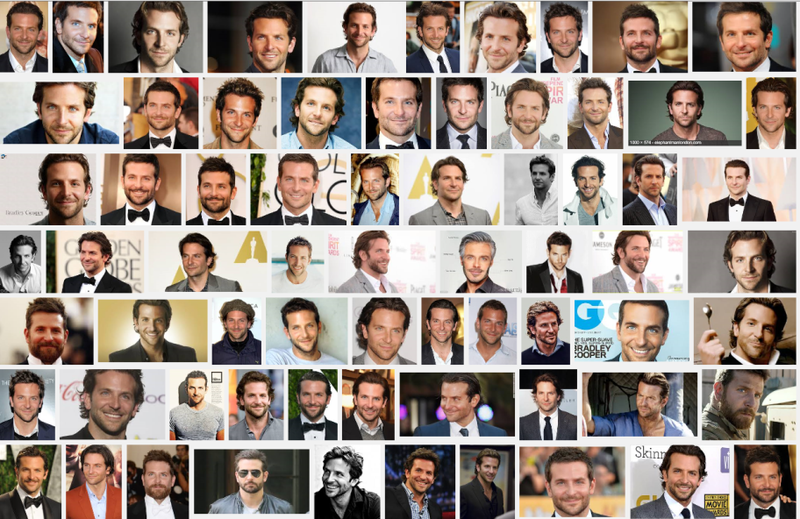 Bradley Charles Cooper is an American actor and producer. He has been nominated for four Academy Awards, three for acting and one for producing, and one Tony Award. He was named the "Sexiest Man Alive" by People magazine in 2011. Cooper has a B.A. in English from Georgetown University (1997) and an MFA in acting from Actors Studio Drama School at The New School (2000). He first gained recognition in the spy-action television show Alias and the television drama Jack & Bobby. He later appeared in supporting roles in the romantic comedies Wedding Crashers (2005), Yes Man (2008), and He's Just Not That Into You (2009). His breakthrough role came with the comedy franchise The Hangover trilogy (2009–13). Other notable films include the action-comedy The A-Team (2010), the thriller Limitless (2011), the crime drama The Place Beyond the Pines (2013), and the superhero film Guardians of the Galaxy (2014), in which he voiced Rocket Raccoon. Cooper garnered three consecutive Oscar nominations from 2013 to 2015 for his roles in the romantic comedy Silver Linings Playbook (2012), the comedy-drama American Hustle (2013), and the biographical war drama American Sniper (2014). For producing American Sniper, Cooper also received an Academy Award for Best Picture nomination. For starring in the 2014 Broadway revival of the play The Elephant Man, Cooper garnered a Tony Award for Best Actor in a Play nomination. What has Bradley Cooper been wearing lately? By the way, if you have not yet seen the movie, we suggest you watch Bradley Cooper in Wet Hot American Summer to see how vintage Bradley enjoys to dress. Wet Hot American Summer is a 2001 American satirical romantic comedy film directed by David Wain from a screenplay written by Wain and Michael Showalter. The film features an ensemble cast, including Bradley Cooper. The film was a critical and commercial failure, but has since developed a cult following, as many of its cast members have gone on to high-profile work. We assume that Bradley has fond memories of Camp Firewood and the way he dressed at camp.